See the press release here from Fast Company and also announcement on Sanofi’s competition’s blog. Our team is comprised of Saleh Adi, Yao Sun, Jenise Wong, and I, all physicians at UCSF. I’m sure I speak for our whole team when I say that we are thrilled, humbled, and honored to be moving on in the competition. Congratulations as well to the other semi-finalists. 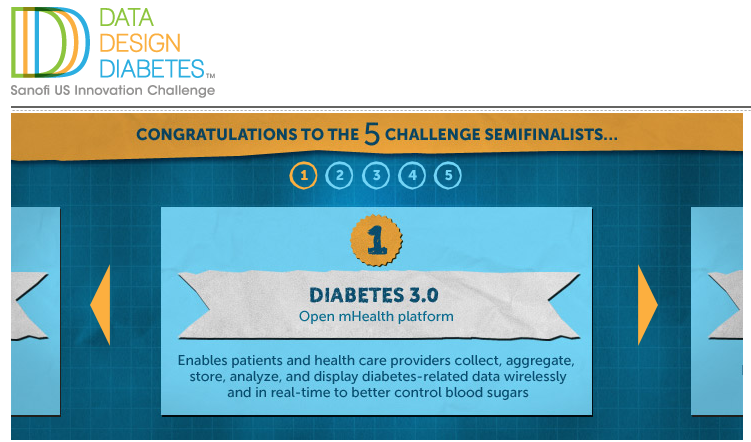 It is great to be a part so many wonderful innovators around the US and the world trying to move diabetes care forward. That’s also funny because I just got myself the new iBGStar from Sanofi (Well, new-ish in north america!) and made a review about it only a few days ago! I wish you great success in the competition!! Next Next post: Is bariatric surgery really going to be the new standard for type 2 diabetes?